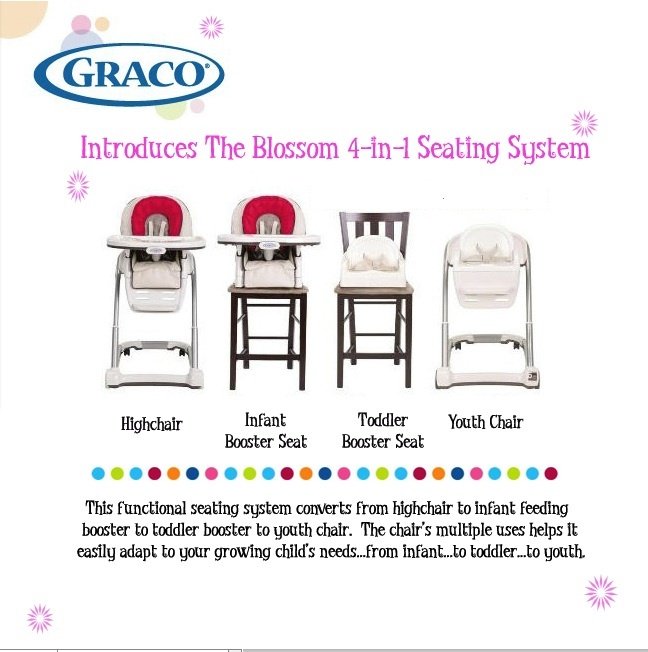 The Blossom 4-in-1 seating system features a unique design that allows you to seat two children at once in two different combinations. It comes with convenient features like the quick change seat button for transition from highchair to infant feeding booster and back, to a removable, adjustable footrest.The removable seat back inserts that works interchangeably on toddler booster and youth chair. Constance Marie Shows Off Luna!